Finally, Google has released the latest android version, which is android 9 pie. 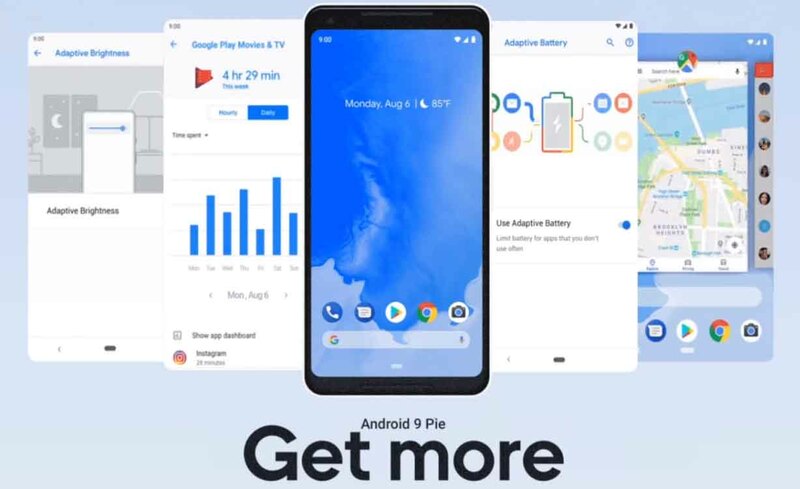 The latest android 9 pie comes with many features and improvements. Here, I discuss the best feature of the latest android 9 pie. 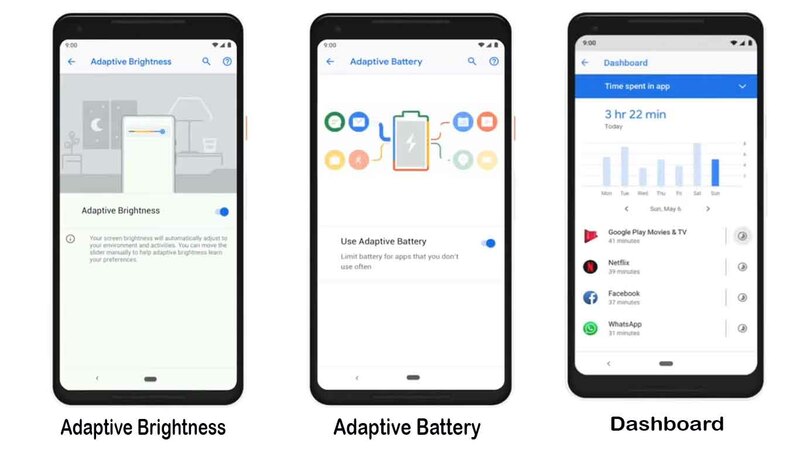 In the intelligence category, (android 9 pie) you will get an Adaptive Battery. Adaptive battery learns how you like to use your phone, and the app that you don't use as much isn't battery drain. For this, you get a long battery backup. Well, the adaptive battery features are pretty nice. Adaptive Brightness is also a great feature on android 9 pie. Mostly our phone has auto brightness option but some cases it does not work properly, as we want so that we set the brightness manually. I think the Adaptive Battery is the solution. Adaptive Battery learns how you like to set the brightness slider based on your surroundings and then it does perfectly and automatically for you. The next option is App Action. App Actions predicts what you're about to do, so you get to your next task more quickly. For example, when you connect your earphone then you many times open YouTube. Here the android gives you a suggestion, and you can open YouTube with one touch. Slices is another best option in android 9 pie. Slices bring relevant parts of your favorite apps to the surface. For example, you want to book Uber, book a restaurant table or order any product, slices will help you a better experience by using your history. In the latest android 9 pie, the UI (user interface) is too simple and easy to use. Here, you will get a single home button, and to swipe the home button you check the recent apps with a card format. Basically, you can do all thing with the gesture. You can also copy and paste any text with a better way like when you select any text android will give you related ward and meaning and you get smart option, with smart option you can directly search on google. That's a pretty nice option in android 9 pie. 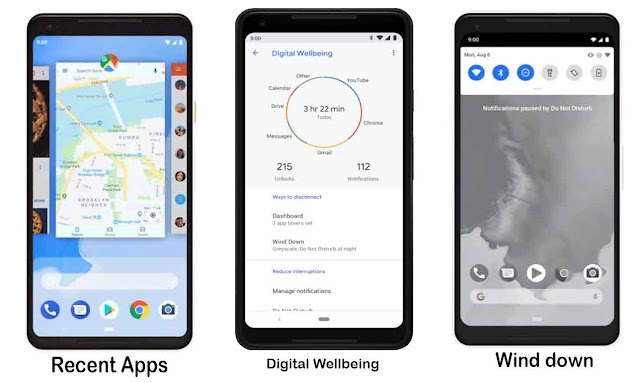 In the android 9 pie, Google focus on this option called Digital Wellbeing. Nowadays we are like many users use their smartphone huge time, that's is not good for our health. So, here Google introduce a set of tools to help you learn how you use your smartphone. In my opinion, this feature is very helpful for all of us. 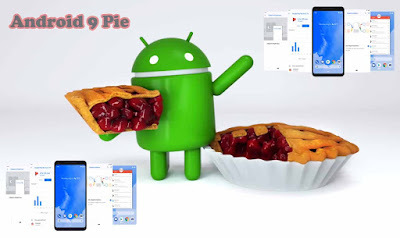 In the android 9 pie, you will get a dashboard and here you can check the uses of the application, what application you use most, in a day what time you unlock your smartphone, the app uses time and many more. 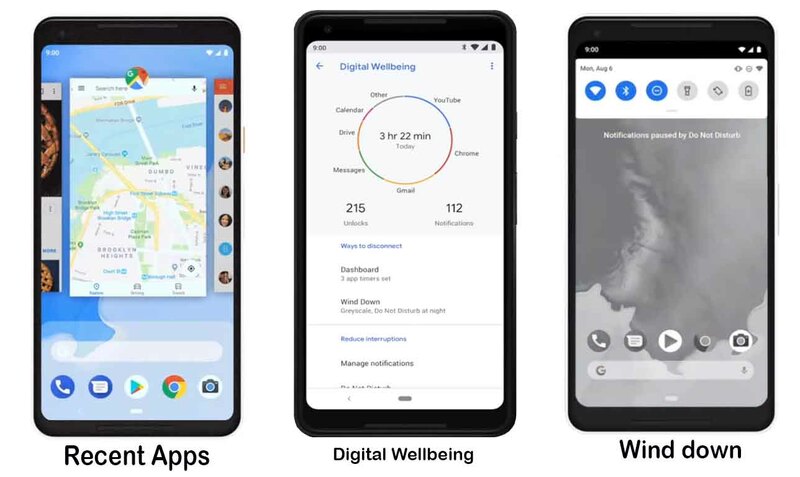 With the help of digital wellbeing dashboard, you can give the time limit of any particular app. For example, suppose you give the time limit of youtube app for 30 minutes, then after 30 munites the youtube app will be disabled. But you can change the time limit by manually. Actually, this option is for those users, who want to control the uses of the app in his smartphone. Another feature of android 9 pie is DND and Wind Down mode. Many time we use the silent mode but when receiving any call or notification the screen will turn on but when you enable DND (do not disturb) then your phone does not disturb you, and you can focus on your work. When you enable Wind Down mode, your phone screen will be black white. This feature is for those users who used their smartphone in the midnight. you can set the time for wind down and the screen will automatically change to black and white. This is the main feature of the latest android which is android 9 pie. Further, Google increases the security and privacy protection in android 9 pie. Here, I discuss some best feature of the latest android version and I hope you like the articles. If you like the articles then share with your friends and also follow us. Thanks to visiting our site.